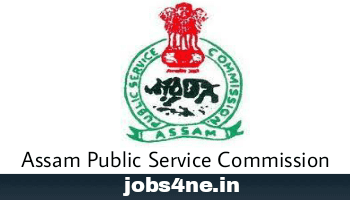 Download Admit Card for APSC Combined Competitive (Prel.) Examination- 2016. - Jobs4NE : Jobs in Assam and North East India. Download Admit Card for APSC Combined Competitive (Prel.) Examination- 2016. This is for information of all concerned that the Combined Competitive (Prel.) Examination /2016 will be held on 02/07/2017 at Barpeta, Bongaigaon, Cachar, Darrang, Dhubri, Dibrugarh, Dima Hasao, Goalpara, Golaghat, Jorhat, Kamrup(Metro), Karbi Anglong, Karimganj, Kokrajhar, Morigaon, Nagaon, Nalbari, North Lakhimpur, Sivsagar ,Sonitpur, Tinsukia. The status of the applications (select-reject list) and the said examination will be uploaded in the website www.apsc.nic.in should check the status of their applications before downloading the e-Admission Certificate. The e-Admission Certificate will be made available for downloading in the APSC website w.e.f. 12/06/2017 at 6 p.m. Candidates should note that no hard copy of the admission certificate will be dispatched. No request for change of ‘Optional Subject’ and ‘Centre’ already chosen for the candidates will be entertained. No candidate will be allowed to appear in the examination hall unless he/ she produces the e-Admission Certificate. Candidates must bring any one of the valid identity proof documents such as, PAN Card/ Driving License/ Voter ID Card/ Bank passbook containing photograph/ ID card issued by the Educational Institution where the candidate is studying presently / ID card issued by Public Sector or Govt. Undertaking/ passport etc. for verification of identity by Invigilators. Help Desk Number 0361-2363117 will function during office hours.